Come see the best that Lakewood Crossing has to offer! Beautiful Dundee Model 3 bedroom, 2 1/2 bath duplex loaded with upgrades, stainless steel appliances, window treatments, custom paint throughout and much, much more. Close to Rt 47 and 90, with easy access to all amenities in Huntley. This property won't be on the market long, some bring your buyers and take a look. 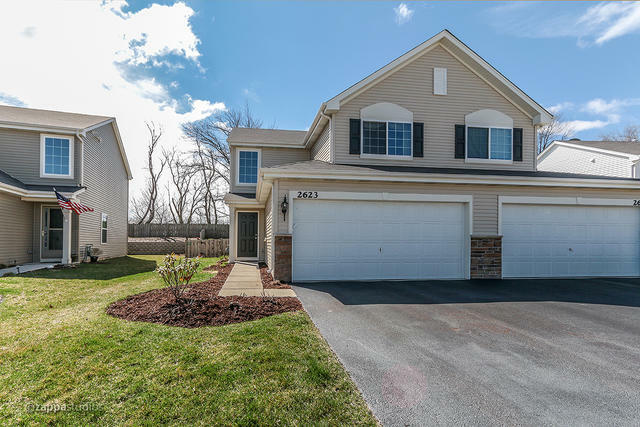 2623 Hearthstone Dr, Hampshire, IL 60140 is a single-family home built in 2014. This property is not currently available for sale. 2623 Hearthstone Dr was last sold on Jun 21, 2017 for $170,000 (3% lower than the asking price of $174,900).